Start with a drive through the Embassy Quarter, you will head past the Sultan Qaboos Grand Mosque (open daily between 0800-1100 Hrs, except Fridays/holidays) , you will be bewitched with its Fascinating Islamic architecture .the Mosque is recognized as one of the most famous Land Marks in Oman Your guide will point out the highlights of the Mosque before heading to Muttrah, a delightful quarter in Muscat. Here you can stop by the fish market for a look at the daily sales, and stroll along the Corniche, see old merchant houses .this tour gives you a rare chance to catch a good deal for shopping here, So be ready for buying a Perfect Souvenirs for your Family and Friends . Continue to the Old Town, where you can pass towering Portuguese forts (Jalali, Qasr Al Alam,and Mirani) as well as the Palace of HM Sultan Qaboos. Your last Stop is Bait Al Zubair Museum for a fine display of Omani culture and history, by the End of the Tour you will be satisfied with a wealth of information about the country’s structure, tradition and heritage . 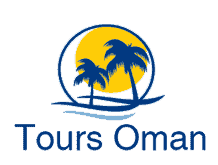 this tour is one of our top rated tours Among Oman Day Tours . After lunch, proceed to Qantab beach via the fishing villages of Sidab & Haramel and past Omans premium hotel, the Al Bustan Palace hotel. Continue the drive to Qantab Beach. Spend some time at leisure on the beach and experience the warm waters. From here, we take you to the modern shopping complex zone in Al Qurum. Feel free for some shopping at the popular Qurum City centre and enjoy some of the best deals and bargains. Wrap the day by taking a drive along the embassy area and then on to the corniche, which gives a spectacular outlook of the Muscat city with lights. this tour is highly recommended during having Muscat Tours .